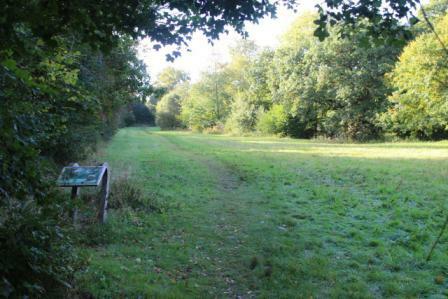 Tania’s Wood, on Woodbridge Farm in Ubley, was gifted to the Mendip Society by the family of Glyn England, President of the Society from 1999 to 2001. The gift is in honour of Glyn, who planted and nurtured it for many years and in memory of his wife Tania, who adored it. Situated within the Mendip Hills Area of Outstanding Natural Beauty, it commands spectacular views of the Chew Valley and the northern edge of the Mendip Plateau opens up on reaching the top. The boundaries on both sides are old, traditional English hedges including Dogwoods, Hazel, Hawthorn, Wayfarer and Spindle. The upper part of the wood was planted in 1980, mainly of Sweet and Horse Chestnuts, Oaks, Small Leaved Limes, Hornbeam and Wild Cherry, often in ‘plantation style’. 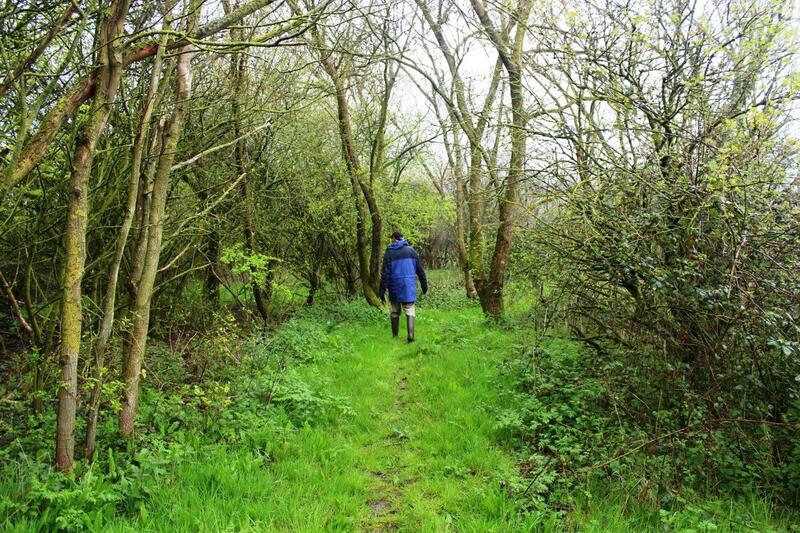 The lower part leading down to Bickfield Lane was planted in 1991 with 18 different species totalling over 300 trees, very few of which are non-native. Small groves of hazel can be found in the woods, they were planted to make coppicing easy and provide useful woodland products. Also found are a number of wildflower species, together with typical woodland wildlife including badgers, squirrels and deer. 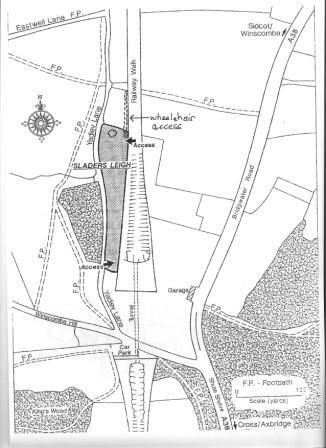 There is evidence of Medieval occupation too with some remaining banks and ditches of a private deer park recorded in 1280. Owned and operated by Richard de Aumari, he was allowed to take five bucks from Mendip to replace the five that had escaped from his park. 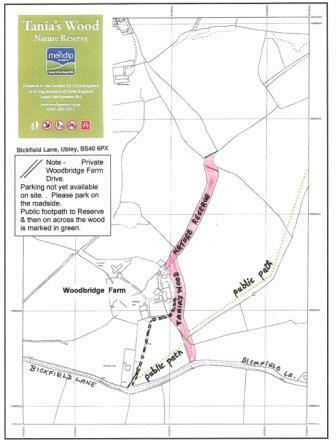 The wood is crossed by the public footpath at the entrance of the farm drive on Bickfield Lane. The Society hopes to establish a ‘permissive footpath’ to other parts of the wood to enable visitors to see it more closely. A link is also planned with the local ‘Forest School’ group whereby primary school children can visit and enjoy activities regularly with their teachers. A great deal of work needs to be done on the long lengths of boundary hedges and a grant from the Mendip Hills AONB fund will enable this to start in 2016/17. Slader’s Leigh was purchased by the Society from Mr. Arthur J Langford in September 1986, with the help of English Nature (as it was then known). The word ‘Leigh’ indicates an area of meadow land kept clear of the surrounding woodland - in this case King’s Wood to the west and Rose Wood to the east. The meadow today is a narrow strip of land, once part of a much larger Slader’s Leigh, which was left when the Cheddar Valley Railway was constructed in 1869. The meadow is now a designated Local Nature Reserve at OS map reference ST 422562. It covers an area of 0.688 hectares/1.7acres, lying alongside the Strawberry Line Cycle and Walkway at Shute Shelve Tunnel, Winscombe Hill. There are over 130 different plant species recorded, including Devil's-Bit Scabious, Cowslips, Betony, Common Spotted Orchis and Tormentil and 21 types of butterfly have been recorded.